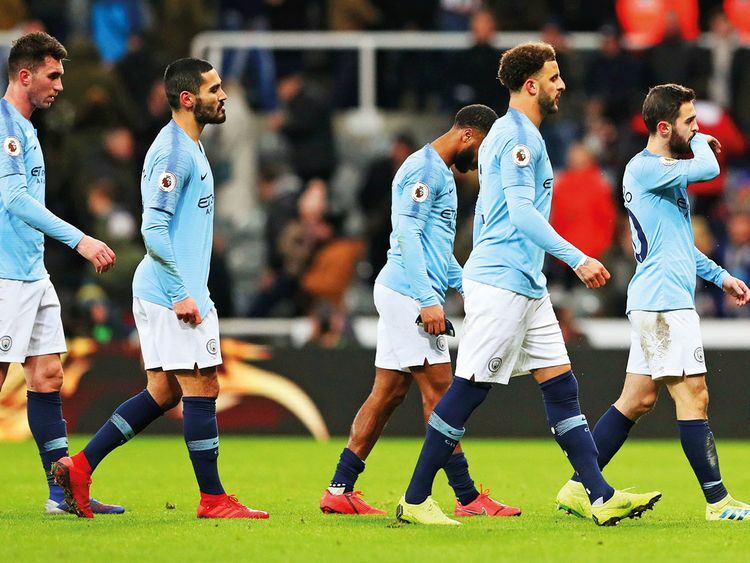 Newcastle: Manchester City handed Liverpool the initiative in the title race with an unscheduled defeat at St James’ Park where Rafa Benitez’s players came from behind to record an important victory in their bid to remain in the Premier League. A Salomon Rondon goal and a Matt Ritchie penalty not only cancelled out Sergio Aguero’s opener — scored after 24 seconds — but left City four points behind Jurgen Klopp’s side. That gap will stretch to seven if Liverpool beat Leicester at Anfield on Wednesday. Sometimes things go your way and sometimes they don’t — we had just won eight games in a row and scored 30 goals without reply but sometimes things don’t go your way. “Seven points is a lot of points,” Guardiola conceded after the defeat which meant they can no longer match last season’s record tally of 100. “Liverpool’s advantage is not huge but it’s there — we have to win a lot of games now. But if we want to keep going up as a club we have to accept the challenge. We are in January and we are behind the leaders but there are a lot of trophies and points to play for. If that was a challenge to his squad there was also sympathy. “I know how my players are feeling right now and I am close to them and by them,” City’s manager said. “Sometimes things go your way and sometimes they don’t — we had just won eight games in a row and scored 30 goals without reply but sometimes things don’t go your way. Benitez’s family home remains on the Wirral and he smiled broadly when reminded he had done his former club a favour. “The most important thing now is Newcastle,” said a manager close to making the Paraguay and Atlanta playmaker Miguel Almiron his club’s 20 million pounds record signing.